Central-Bank-of-Nigeria-CBN10 December 2013, Sweetcrude, Abuja -The Nigeria National Petroleum Corporation, NNPC, has refuted allegations contained in a Central Bank of Nigeria memo to President Goodluck Jonathan claiming that the Corporation failed to remit $49.8 billion revenue receipt from crude oil sales to the federation account between january 2012 and July 2013. In the memo dated September, 25 2013, the CBN governor, Lamido Sanusi noted that the NNPC has yet to account for, and repatriate to the Federation Account, an amount in excess of $49.804 billion or 76% of the value of oil lifted in the same period. The amount is said to represent 76% of the total crude oil revenues from January 2012 to July 2013. 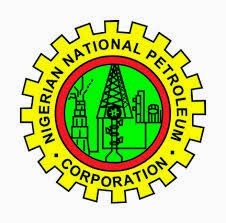 But the General Manager, Media Relations Department of the NNPC, Dr. Omar Farouk Ibrahim, clarified in a statement that the allegation is borne out of misunderstanding of the workings of the oil and gas industry and the modality for remitting crude oil sales revenue into the Federation Account. “For the avoidance of doubt, it needs to be stated that the figure of 594.024 million barrels of crude oil given by the CBN as the total crude oil lifting for the period of January 2012 to July 2013 does not represent the correct picture of crude oil lifting for the period. From our records, the correct figure is 618.55m barrels. This shows that the CBN understated the actual crude lifting by 4.13%,” Dr. Ibrahim stated. He explained that revenues from crude oil liftings are in various categories, namely Equity Crude; Petroleum Profit Tax, Royalty, Third Party Financing and the Nigerian Petroleum Development Company, NPDC. Besides, revenues from each of these categories are statutorily collected by different agencies of the government. The NNPC collects only one of the aforementioned categories, namely Equity Crude. Petroleum Profit Tax is collected by the Federal Inland Revenue Service, FIRS, Royalty goes to the Department of Petroleum Resources, DPR, Third Party financing goes for Research, Development, Program and Satellite fields Development, while NPDC goes to NPDC for upstream development. While NNPC pays proceeds from Equity crude directly to the Federation Account with the CBN, the FIRS and DPR pay PPT and Royalty respectively into the Federation Account with the CBN. The sum total of these proceeds make up the alleged unremitted revenues, Dr. Ibrahim stated. “The 24% of total crude oil revenue receipts which the CBN governor is reported to have acknowledged that NNPC remitted represents the proceeds from the equity lifting which NNPC is directly responsible for. The alleged unremitted 76% was paid to the agencies that are statutorily empowered to receive them for onward remittance into the Federation Account”, Dr. Ibrahim explained. He stressed the need for institutions of the Federal Government and top government functionaries to seek understanding of issues that are not clear to them from relevant agencies rather than go public with misleading information that is capable of creating public disaffection. He expressed NNPC’s availability at all times to meet with all relevant stakeholders to clarify issues.